Jermaine O'Neal finally picks on someone his own size and destroys Okafor, via NBA. Delonte West throws it down with authority on a headband-less Josh Smith, via NBA. 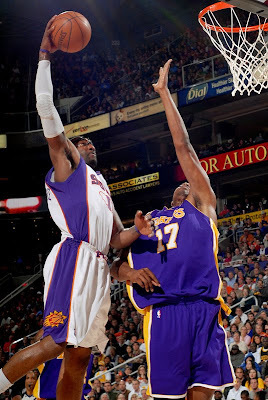 Amare with the big jam on Bynum, via NBA. 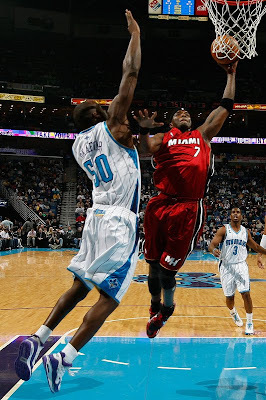 Jermaine O'Neal going up and under on Earl Watson. 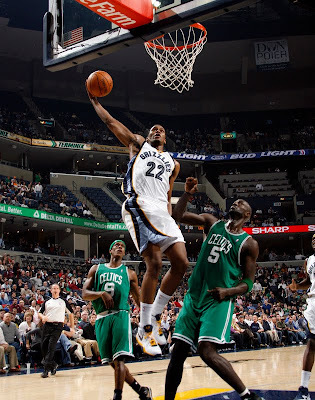 Ryan Hollins dunking ALL OVER Andray Blatche, via NBA. 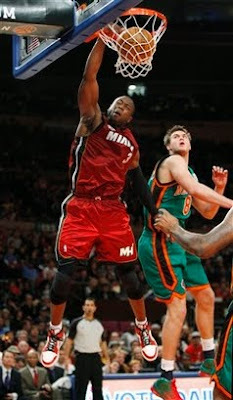 D-Wade rockin' the rim against the Knicks, via NBA. Dayton's Marcus Johnson dunks on Dominic Cheek from a few weeks back. D-Will crosses-over D-Wade and them bams all over Joel Anthony, via NBA. As you can see, D-Will's knee is quite healthy this season. Hakeem the Dream with a powerful stuff on Michael Stewart. 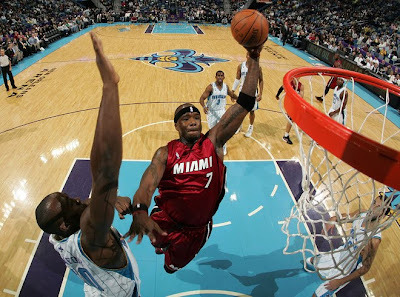 Lebron throws down something vicious on Amare for his best dunk so far this season, via NBA. 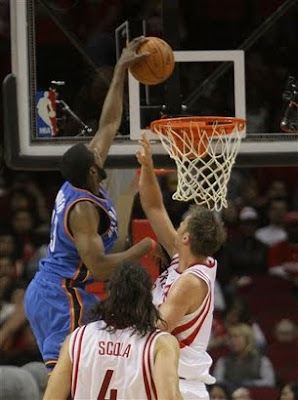 James Harden drives the lane and posterizes David Andersen, via NBA. 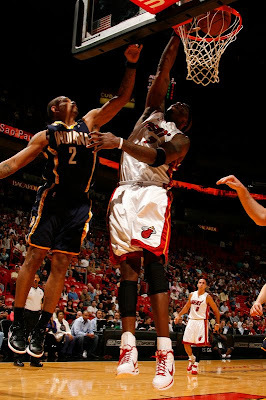 Martell Webster with a nasty putback on Channing Frye, via NBA. Richard Jefferson gets a 2 for 1 on Warriors named Anthony, via NBA. Lebron being very unpatriotic to Kobe. This just in: Rudy Gay likes to dunk. Via NBA. 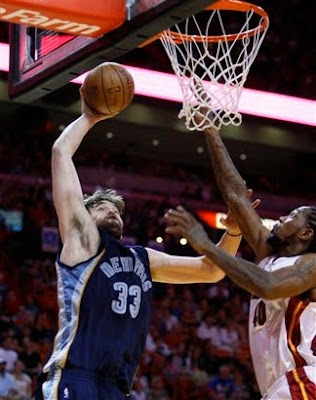 Marc Gasol jams on Haslem, via NBA. 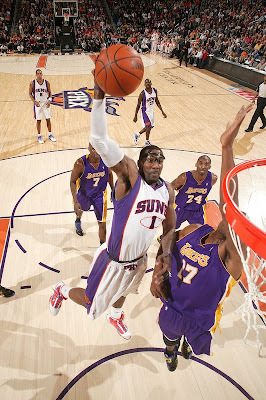 Penny throws one down on The Admiral during his Suns days.